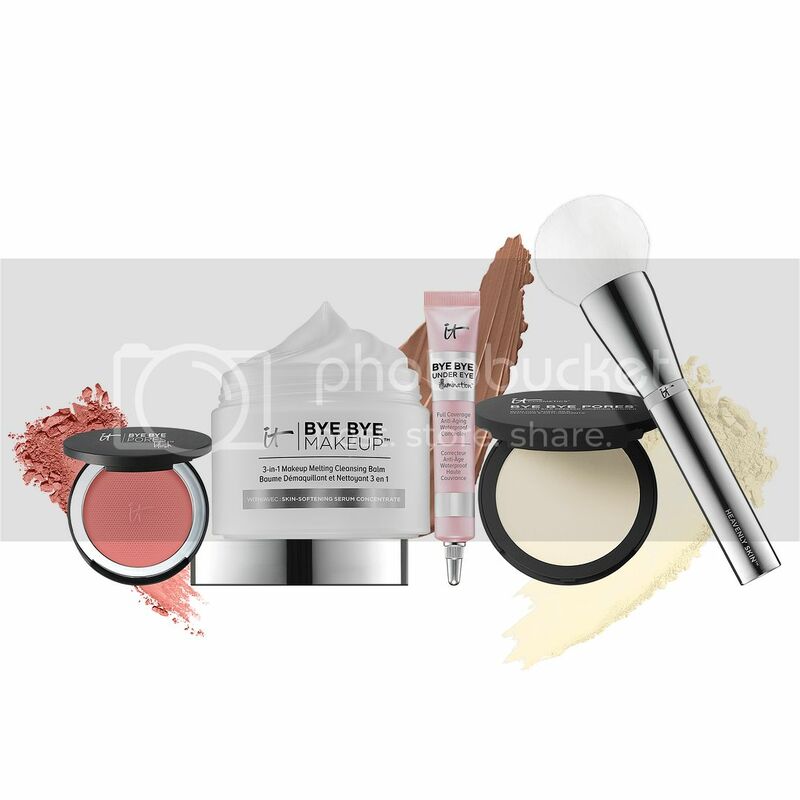 Hey IT Cosmetics fans and makeup-lovers, here is an awesome deal for you! 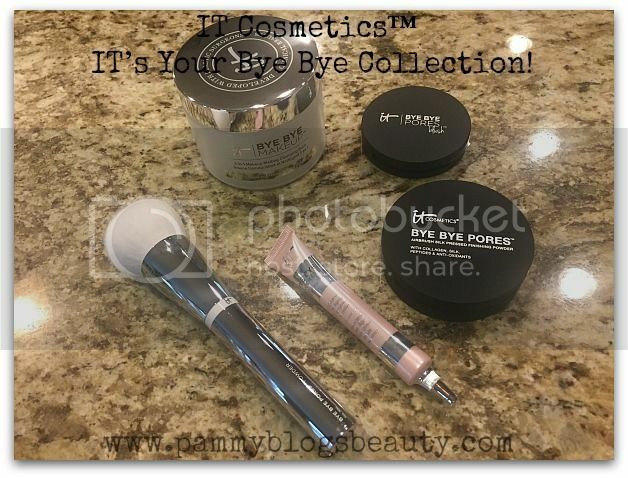 IT Cosmetics IT’s Your Bye Bye Collection includes the game-changing products that let you say “bye bye” to your skin concerns and hello to life-changing results! This Today’s Special Value® is scheduled to debut on QVC® Friday, March 25, 2016 at midnight (ET) and will be offered for one day only! Each day, QVC picks one special item to offer at an exceptionally low price from midnight (ET) until 11:59 p.m. (PT) that day. What an awesome opportunity to explore the IT Cosmetics line! This amazing kit includes the debut of 4 NEW game-changing products plus one bestseller. This is a great kit for not only if you are already a fan of the line, but also if you have never tried the line and want to dive right in! You’ll experience new Bye Bye Under Eye Illumination, your full-coverage, #1 best-selling concealer now infused with the look of light! Also included is Bye Bye Pores Pressed Powder to blur the look of imperfections, new Bye Bye Pores Blush to perk up your complexion, and a new Heavenly Skin Bye Bye Pores Powder Brush that does the work for you to deliver a flawless finish every time. And now, IT Cosmetics ends your day with you, too—as new Bye Bye Makeup gently cleanses your skin and makes your makeup disappear! It’s your best-selling, award-winning Bye Bye Under Eye, now with Drops of Light Technology to brighten the look of your skin with soft luminosity! This long-wear concealer gives you your most flawless-looking skin and doesn’t crease or crack. There is no question, IT Cosmetics knows how to make good concealers. The original Bye Bye Under Eye Concealer is one of my holy-grail staple concealers. I struggle with very dark under eye circles. Not many concealers on the market work for me. I need mega pigmentation and great texture for the flawless coverage that I desire. This new formula gives me just that...plus, a lovely luminous finish that is so flattering to the under eye area. Plus, I love that this product, like the whole IT Cosmetics line, is packed with skin-loving ingredients. You get a skincare treat every time you apply this! The formula includes: hydrolyzed collagen, peptides, hyaluronic acid, and antioxidants. This silky, translucent powder helps optically blur the look of pores and fine lines! Formulated with anti-aging, skin-loving ingredients including peptides, real silk, hydrolyzed collagen and Bye Bye Pores Optical Blurring Technology, this powder is perfect for touch-ups throughout the day. I am already such a fan of this translucent finishing powder! It certainly does give you a flawless finish while diminishing the look of pores (and mine are normally very apparent!). This is a great last-step in my makeup routine. Plus, I love that this is a pressed rather than loose powder (so much easier for travel or your handbag). Like the other products in this line, Bye Bye Pores Pressed Powder is infused with awesome ingredients like peptides, collagen, silk, and antioxidants. Smile and add blush! This is your sheer, buildable, silk-infused blush that gives you a naturally pretty flush of color that lasts. Do you guys know that I am obsessed with blush? Out of all of my makeup items, blush is my absolute favorite! Nothing perks up your face better than a flattering blush. This Bye Bye Pores Blush Airbrush Brightening Blush in Naturally Pretty is the perfect rosey pink. The shade is just so flattering and I believe that it would be universally flattering to a variety of skin tones. On my super fair skin, it looks beautiful! It has gorgeous pigmentation plus a soft and blendable texture. Custom-cut with a super plush, dome-shaped head, this revolutionary brush features skin-loving fibers that optically blur away the look of imperfections for flawless, skin-perfecting results every time! Wow! I love this brush! 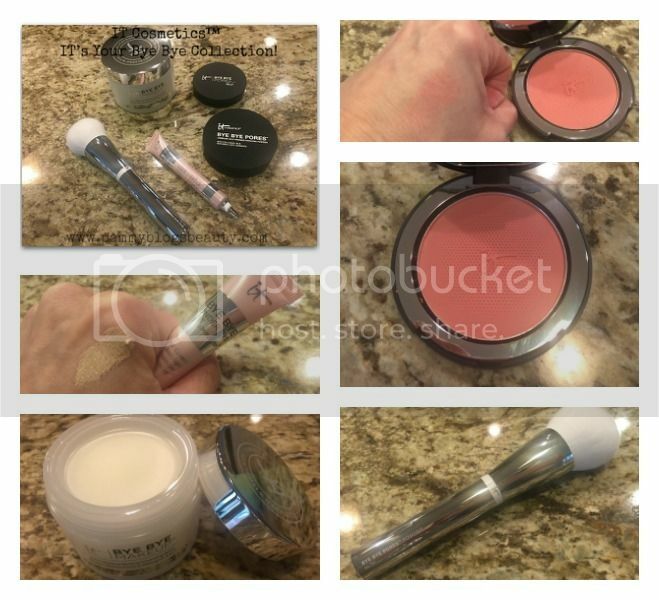 IT Cosmetics honestly makes some of the best makeup brushes on the market. In particular, their face and powder brushes really can't be beat in terms of quality and softness. This brush has the perfect combination of softness, density, and shape that make it pretty darn perfect for powder application. The white fibers and the silver handle make it a stand-out in my makeup brush collection! This is your hydrating cleanser, makeup remover and anti-aging, skin-softening serum—all in one step! Formulated with skin-loving ingredients, this paraben-free, sulfate-free formula makes your makeup disappear while giving you a softer, more hydrated complexion! I am so excited to finally be trying a cleansing balm! Cleansing balms are certainly having their moment in terms of popularity.